Jie Hyue Kim, D.M.A., is a native of Daejeon, South Korea. Born into a musical family, and began studying violin at age eight. Dr. Kim received her doctoral degree from the Benjamin T. Rome School of Music of the Catholic University of America as a full scholarship fellow and the teaching assistant in music theory department. Dr. Kim earned her Bachelor of Music degree from the Chung Nam National University in South Korea. She received her Master of Art degree from Aaron Copland School of Music at the Queens College, CUNY where she studied with Daniel Phillips, a renowned violinist of the Orion Quartet. While attending schools, she has served as concertmaster of the University symphony and chamber orchestras. She won the Concerto competition of Queens College Orchestra, performed in 2009. And as a violist, she served as viola principle of Queens College Orchestra and Ureuk Symphony Orchestra in New York. As an orchestral musician Dr. Kim has performed at New York�s Merkin Hall, Alice Tully Hall, Avery Fisher Hall, Carnegie Hall and the Kennedy Center in Washington DC. She currently serves as the second principal of the Loudoun Symphony Orchestra, VA.
As a soloist, Dr. Kim invited to play with the NOVA philharmonic, Queensboro Symphony Orchestras in New York and the Pro Arte Chamber Orchestra and Charles Washington Symphony Orchestra in Virginia. She was granted a full fellowship to participate in the AIMS Festival Orchestra in Graz, Austria and Virginia�s Blue Ridge Music Festival. And she has been selected to perform in the Castleton Music Festival Orchestra, an honor of enormous significance, as the orchestra is hand-selected and directed by Maestro Lorin Maazel. She is a founding member of Eclat trio won the first prize of American Prot�g� International Competition 2015, successfully debut at the Carnegie Hall. 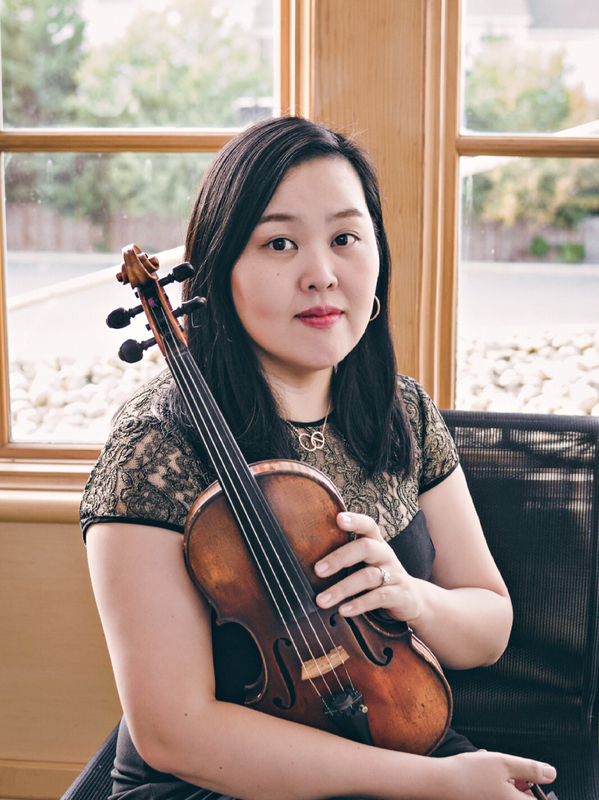 Dr. Kim is an expert teacher with over a decade of experience teaching violin and viola of all ages privately as well as in group settings and all levels from beginner to advance. Large number of her students have been frequently chosen for the greater DC area�s top youth orchestras, such as the Maryland Classic Youth Orchestras, the American Youth Philharmonic and successfully auditioned for Virginia�s District, Regional and All-State orchestras. She is a music teacher of Loudoun Country Day School in Leesburg, Virginia and lecturer of Midwest University.